Help Filing Your Federal Tax Returns. 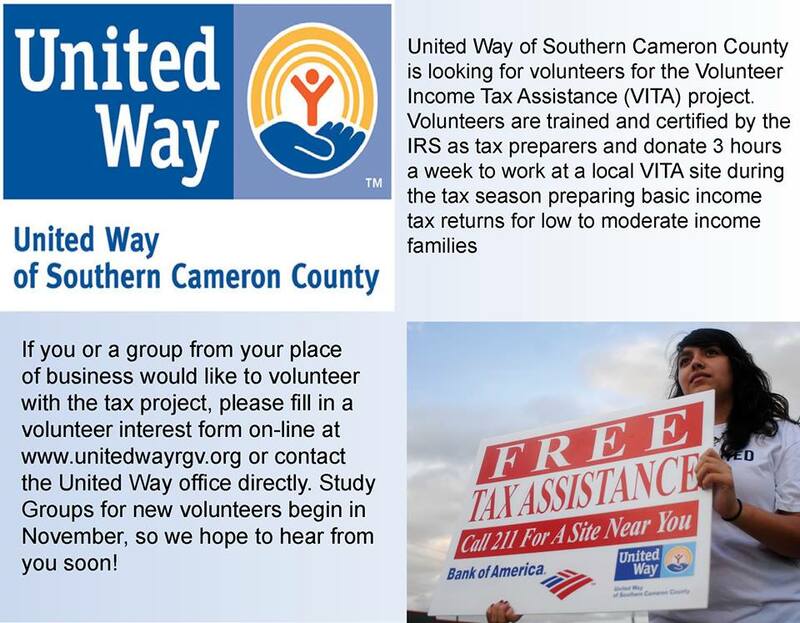 All In works in conjunction with United Way of Southern Cameron County and its partners to help working families file their federal income tax. In 2012 alone, we helped people like you claim over $2 million of Earned Income Tax Credits. 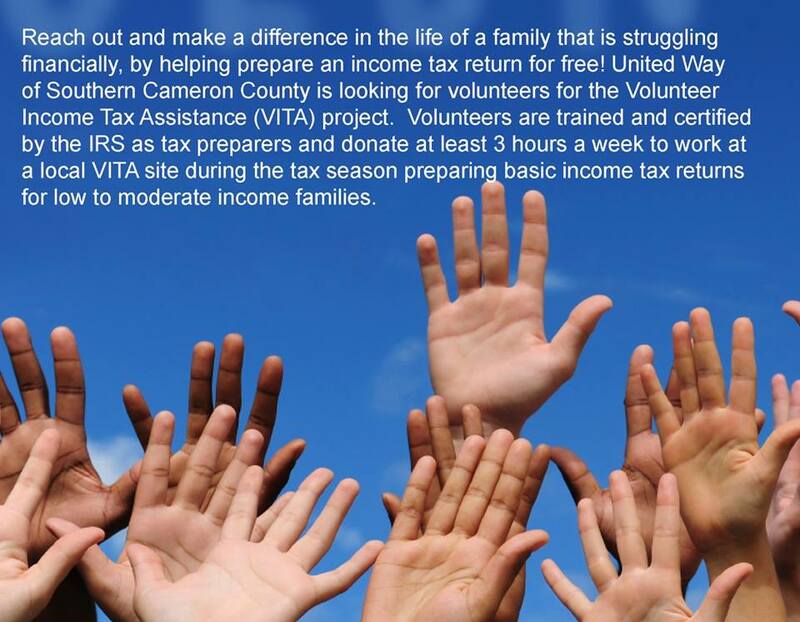 Our Volunteer Income Tax Assistance Sites are open annually from late January until April 15th. 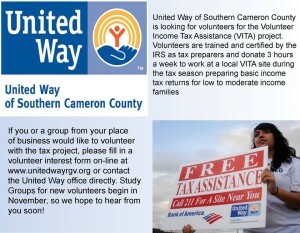 To find free tax assistance sites near you call 2-1-1 during tax season. 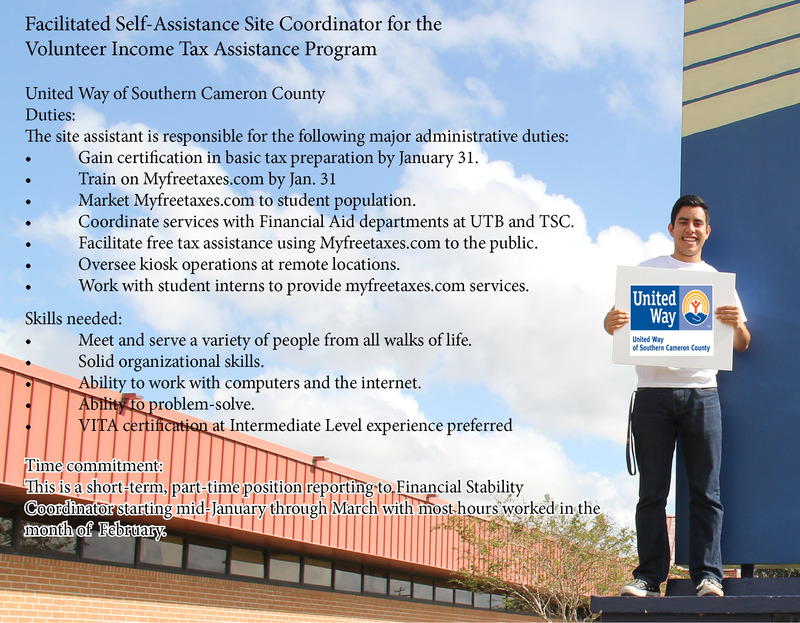 For more information about this program contact United Way of Southern Cameron County at 956-548-6880. Interested in becoming part of this work? Look at the opportunities available now. 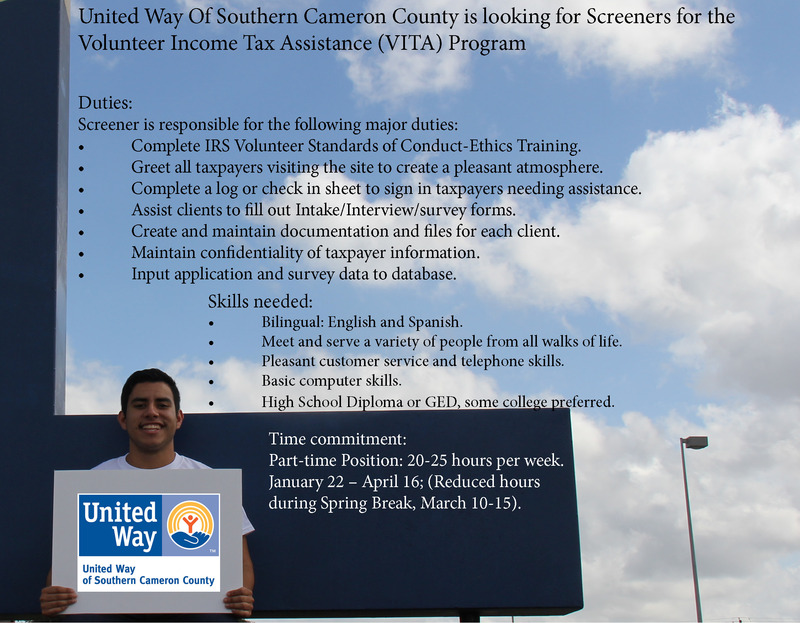 If you or anyone you know is interested in becoming a voluntee, Site coordinator, or Screener please share and contact Keren Arista at keren.arista@unitedwayrgv.org or call her at 956.548.6880. Join the movement. See how our community is supporting the cause to increase the number of young adults with post-secondary educations in the Rio Grande Valley.